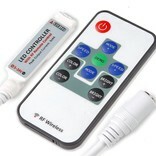 Mini LED strip RGB controller with RF remote control. 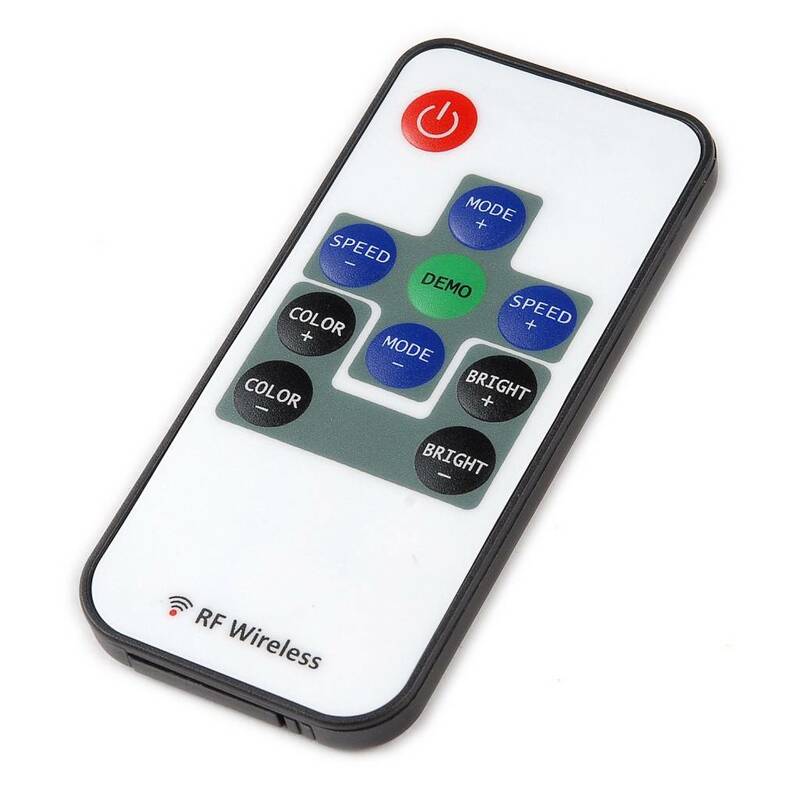 This small but powerful Mini RGB Controller works via radio frequency and has a transmission range up to 30 meters. Quick and easy installation between your RGB LED strip and the adapter. 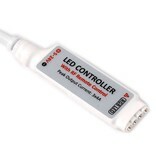 Small but powerful Mini RF radio signal-controlled LED strip RGB color controller with remote control. 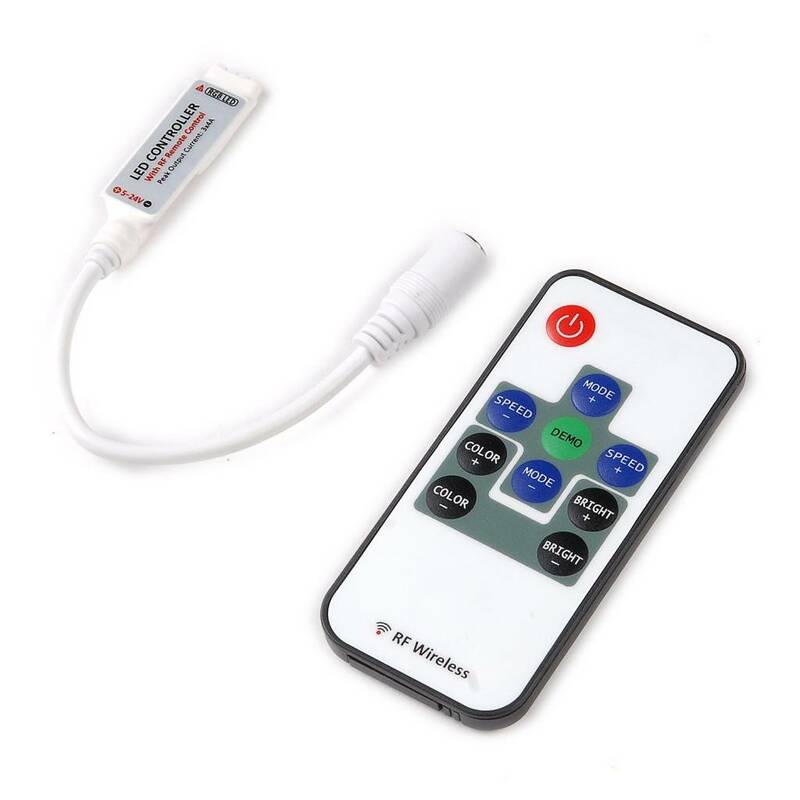 This Mini RGB Controller has a range of up to 30 meters. The mini RF dimmer receiver is barely wider than an RGB LED strip and can thus can be quickly installed in places where is space. Simply connect the RGB mini receiver module to a DC power supply and connect the 4-pin plug of your RGB LED strip. 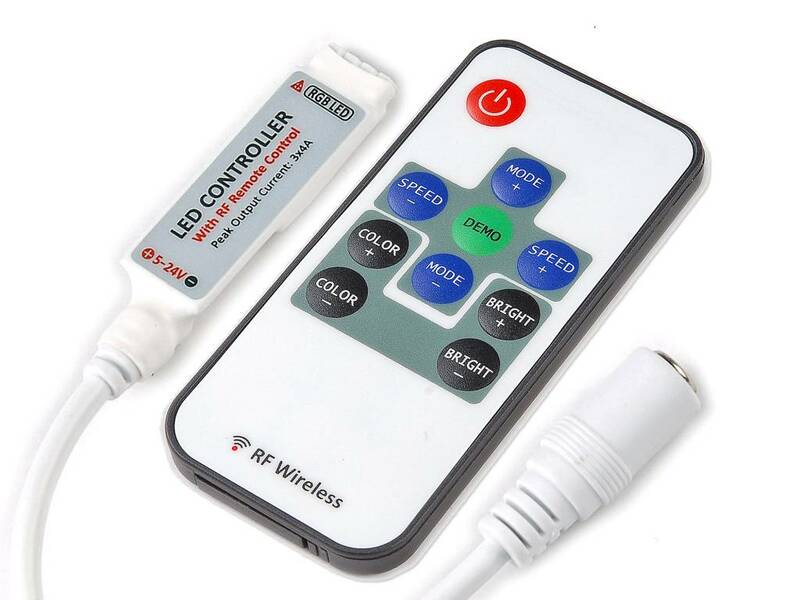 This easy to install Mini RGB controller is up and running in minutes!